My son is 8 today and he is obsessed with Harry Potter. Obsessed. 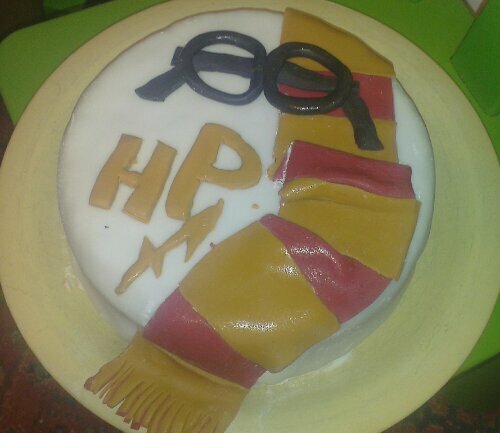 And so I’ve made him this birthday cake as a surprise. It’s a two tiered gluten free lemon drizzle cake filled with lemon flavoured cream. The decoration is made from gluten free fondant icing that I coloured myself.